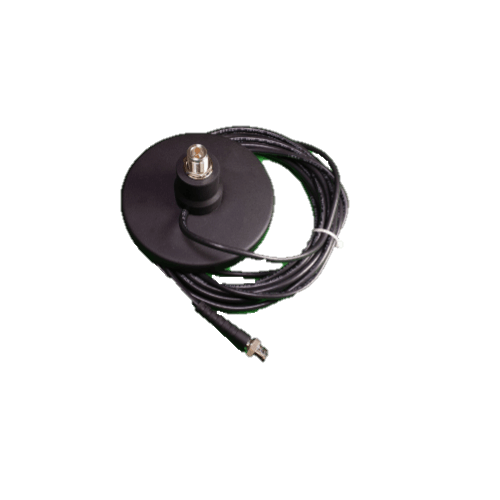 The MM003 Magnetic Mount is a rugged vehicular mount that consists of a 4.5” (113.4 mm) heavy duty magnet and multiple options for the antenna connector, cable connector, and cable length. Overall Height: Varies with options. Net Weight: Varies with options.